Ketty Trumble, the battle mage. I wanted something that looks military, verging on metallic, for a light class character. My blind Auramancer and Weaponsmith Mesmer, Zaira Spellweaver! My silly little cosplay Asura. I've always been in love with necro Marea's outfit! The version with the hood is what I use ooc, and the glowy eyes ic, to match her focus. Of course the pottery and Mignigt rust can be changed to what you prefer as you colour of brown. Or.. change it to whatever you prefer. 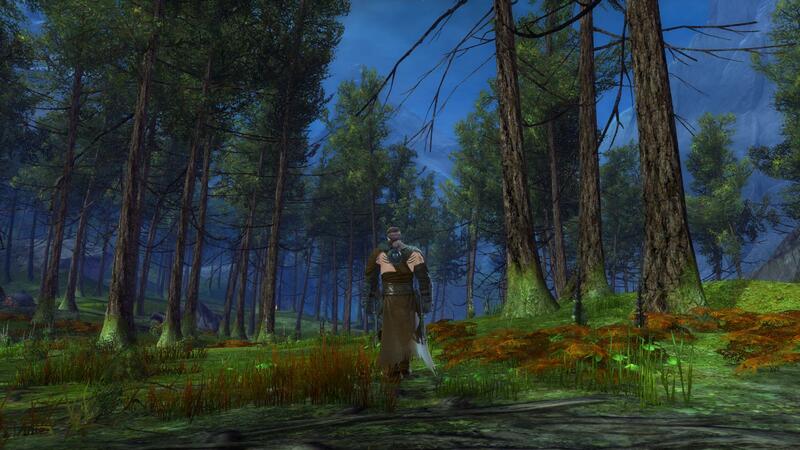 Still, this is a pleasent set for Male Norn (uncertain if it will suit female Norn) that looks lore friendly, casual and battle worthy. "People fear that which they do not understand. They hate because they refuse to understand." This is a proposed look at my first Revenant. Tamara Heartrend, Blood Legion soldier and Durmand Priory combat instructor. This is close to the idea I’m going for for her armour. 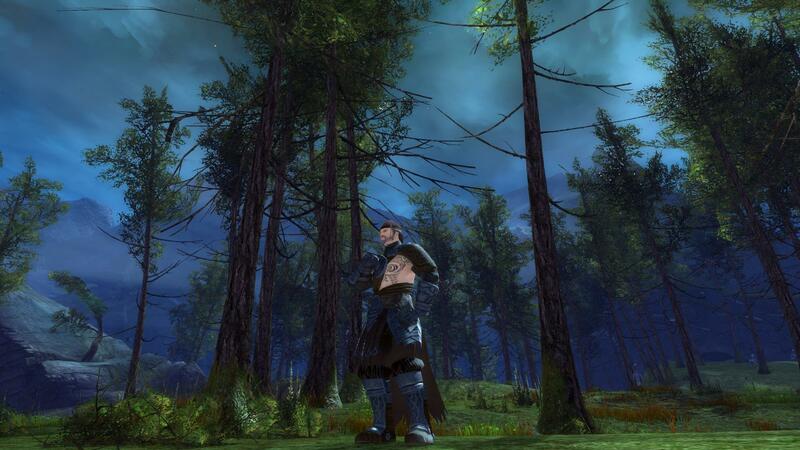 The gloves and boots happen to be Legion gloves and boots from the charr cultural set. 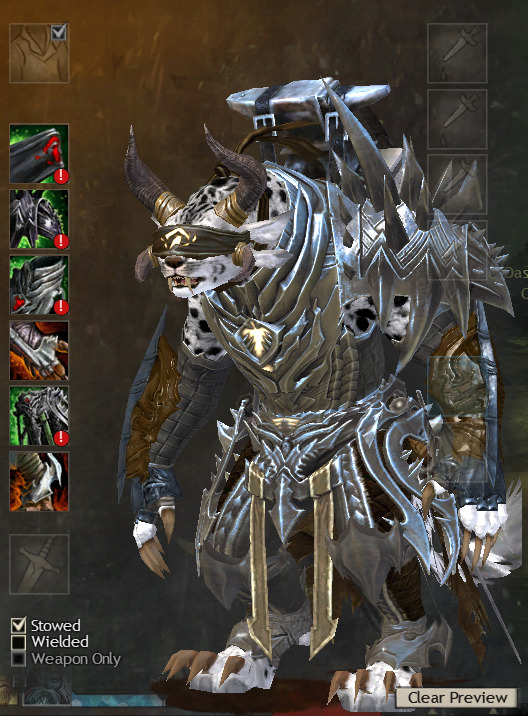 As for the Mistwarden items, I’m two collectibles away from getting each of the pauldrons, coat and leggings, and the five away that’s needed for the blindfold. I really like the Legion Fists, they look quite good with the overall look. As far as colours go I'll have to play with those when I get everything finalized. Getting closer to a full ascended set of light armour for my mesmer, Pania Alow. I always loved the outfit I did for my ranger! She's a scout and all. 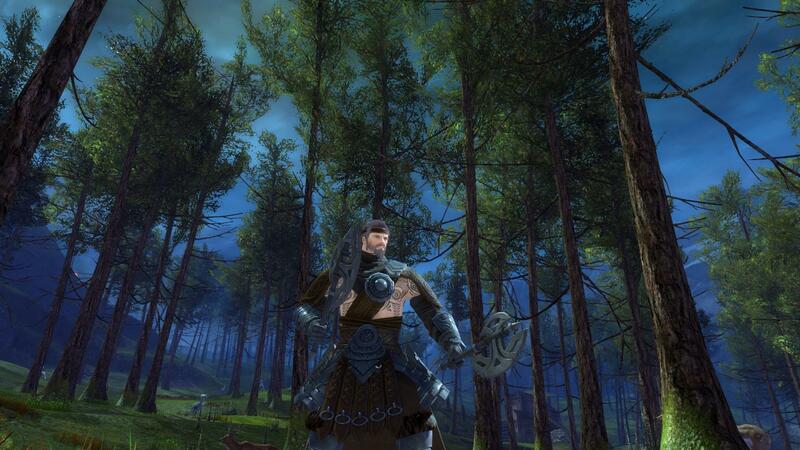 I found it hard to make a good archer look since the kind of gloves I was looking for changed depending on the gender. But ultimately I found something suitable! 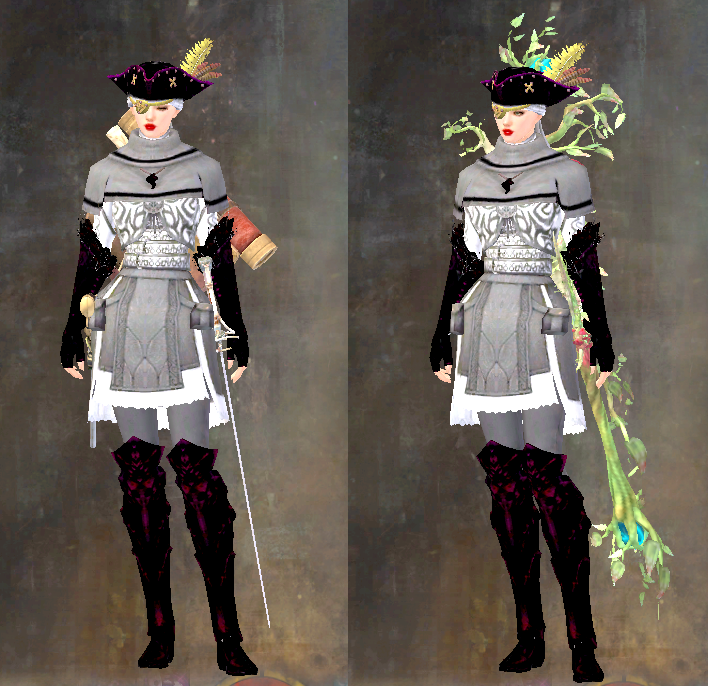 I usually base the outfits around weapons so everything matches approximately. 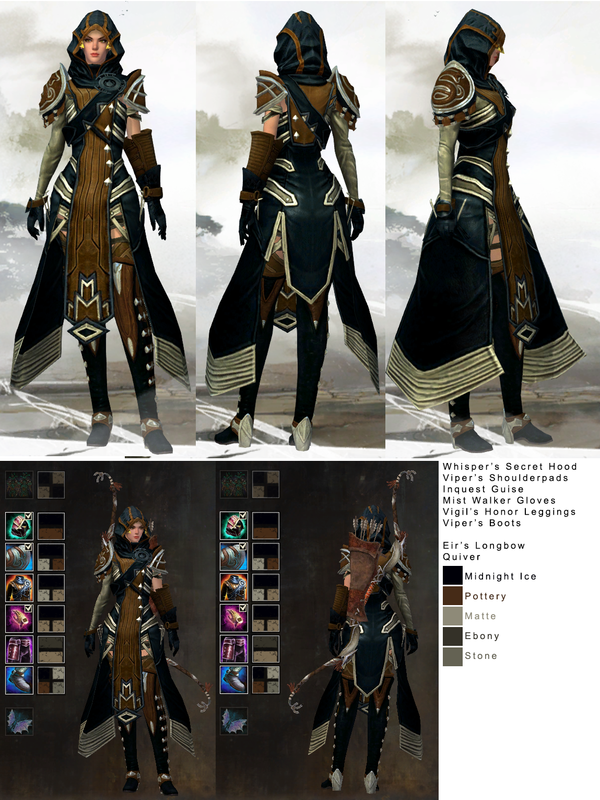 Wtb dyeable backpieces.